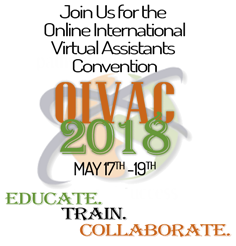 On 14 and 15 March 2014, Australian Virtual Assistants gathered for the Australian VA Conference at the Brisbane Convention and Exhibition Centre. I thought I’d share the 15 key takeaways for me from the conference! My number 1 takeaway probably gives away my age and stage of life really! LOL! What were your takeaways? Add them to the comments below!